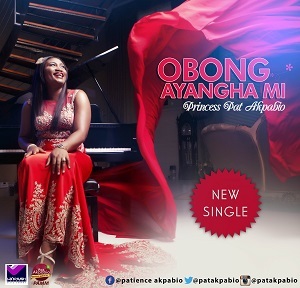 Phenomenal Gospel artiste Princess Pat Akpabio with a sultry anointed voice is back with OBONG AYANGA MI, a Bard Bishop produced inspirational Gospel Song professing God's love and devine help. It is a reminder of the old rugged Cross and that Jesus died to save us despite our short comings. Princess Pat Akpabio the La Khush Records' front man had earlier release I WANT TO KNOW YOU MORE which was the 1st official Single off her soon to be released Album I'M UNSTOPPABLE. We are hereby pleased to present the 2nd Official Single to everyone out there, your past and present flaws and Sins don't matter, God can still save you as long as you can cling unto the rugged Cross "Obong Ayangha Fi ke Mfon".